We want to come alongside your mission and provide you a solution for a branded church app that integrates with the internal tools you're already using. MinistryOne is the new mobile church app by people who really get the Church. 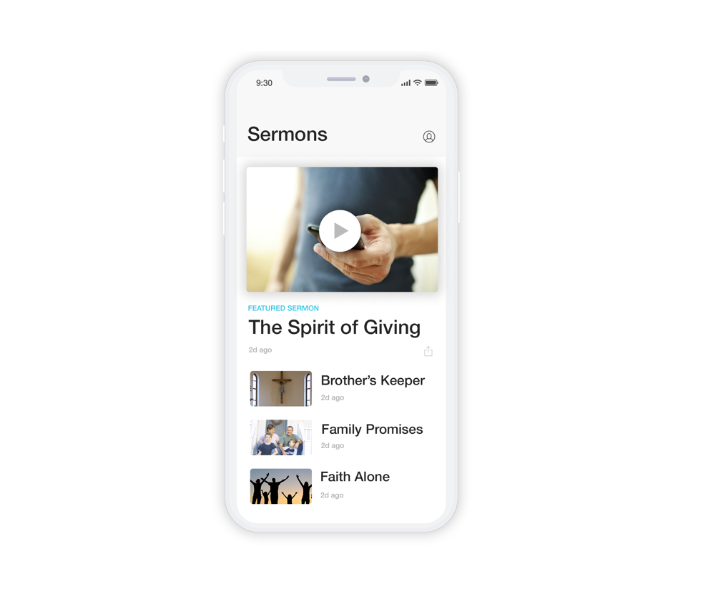 Developed so you can encourage your members to stay engaged any day of the week, it's never been easier to connect with your congregation! Your Kindrid Giving and MinistryOne systems work in perfect harmony. Essentially, MinistryOne is a plug-and-play option for mobile app giving, payments, registrations, contacts, etc. Immediately! Kindrid customers can add it to their account at anytime! MinistryOne will be free for the first 12 months for customers who add it to their account before March 31st, 2019. Thereafter, MinistryOne will be an additional $39/month. To learn more about how MinistryOne will benefit your church, please submit the interest form below. We'll be in touch!